JUST ARRIVED - LOCAL TRUCK! 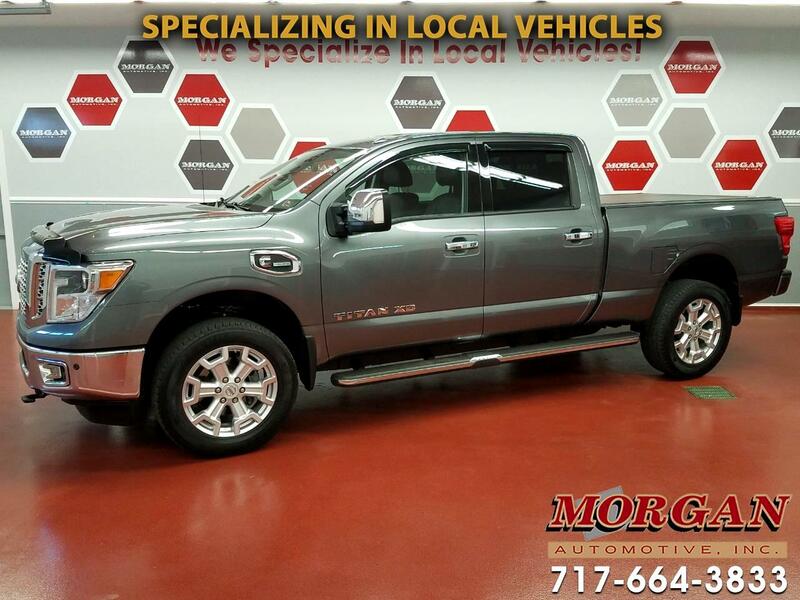 *****2016 NISSAN TITAN SL 4WD WITH 5.0L CUMMINS TURBO DIESEL ENGINE! ****CLEAN 1-OWNER CARFAX****This is a great heavy duty truck that combines powerful performance and luxury comfort. It is built to tow with integrated gooseneck hitch, class IV tow hitch, 4-in and 7-pin wiring harness connectors, tow/haul mode and trailer brake controller. Comes equipped with heated front bucket seats, Blind Spot monitoring system, Husky all-weather floor mats, touchscreen infotainment center with Navigation, rear view camera and AM/FM/CD/XM/Bluetooth radio with Rockford-Fosgate Premium Sound System, traction control, dual-zone climate control, power equipment including 2-position driver memory seat, cruise control, rear parking sensor, fixed running boards, bed liner and tonneau cover. Has a new PA inspection, fresh oil change, and tires and brakes are in great condition. Comes with the balance of the factory warranty with options to extend coverage for added piece of mind. Trades are welcome and financing is available.